A simply amazing crunchy snack! These magically delish beans are also high in protein and fiber. 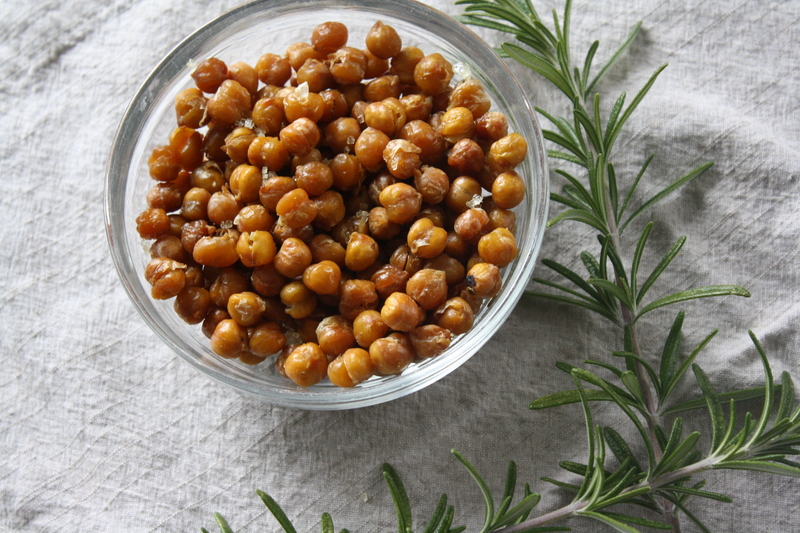 Preheat oven to 350-degrees F. Drain chickpeas and dry well with a paper towel. Place on a baking sheet and season olive oil, kosher salt, and rosemary; toss well to coat. Bake for about 40 to 50 minutes, turning periodically, until crisp and sizzling. Remove from oven and sprinkle with sea salt. Allow to cool and serve at room temperature. Store in an airtight container for up to 2 days.